The National Garden Scheme official web site can be accessed by clicking on the Garden Visitor's Handbook cover above. 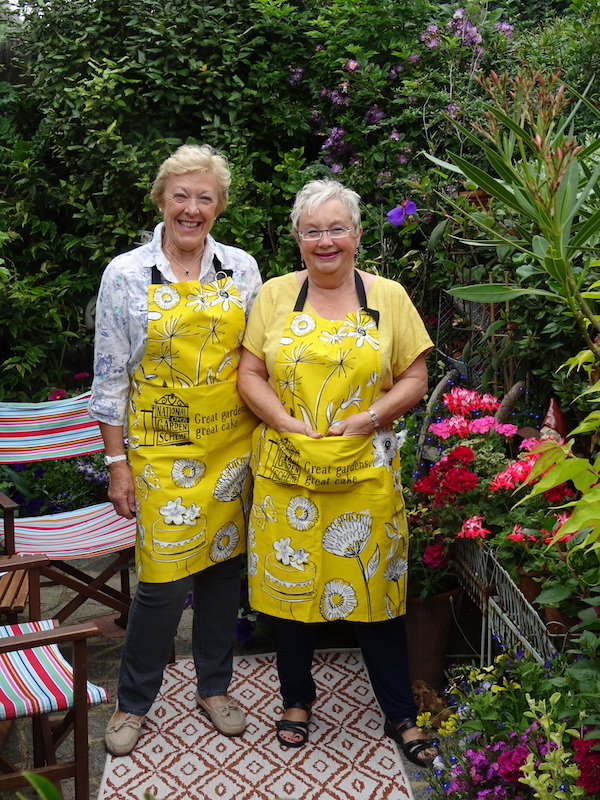 In 2019 The Gardeners' World 2 for 1 offer cannot be used on days when open for the National Garden Scheme. The national lifestyle magazine Coast had an incredible 8-page feature on Driftwood in their August 2017 issue. 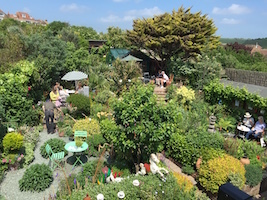 The 15 minute film made in June 2015 by an American organisation, to promote the National Garden Scheme in the States was finally published in September 2016, see it below. 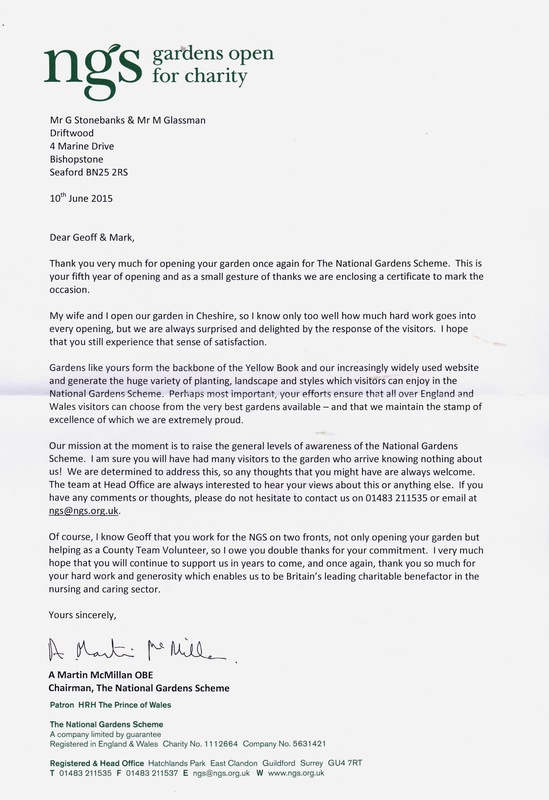 The National Garden Scheme was founded in 1927 to help fund the essential work of district nurses. 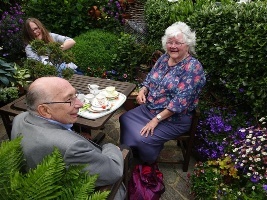 Ninety years on, their volunteers continue to raise money for a group of national charities that includes Macmillan Cancer Support, in fact, they’re now their biggest charitable donor. The scheme helps ordinary people open their extraordinary gardens to raise impressive amounts of money through admissions, teas and slices of cake. 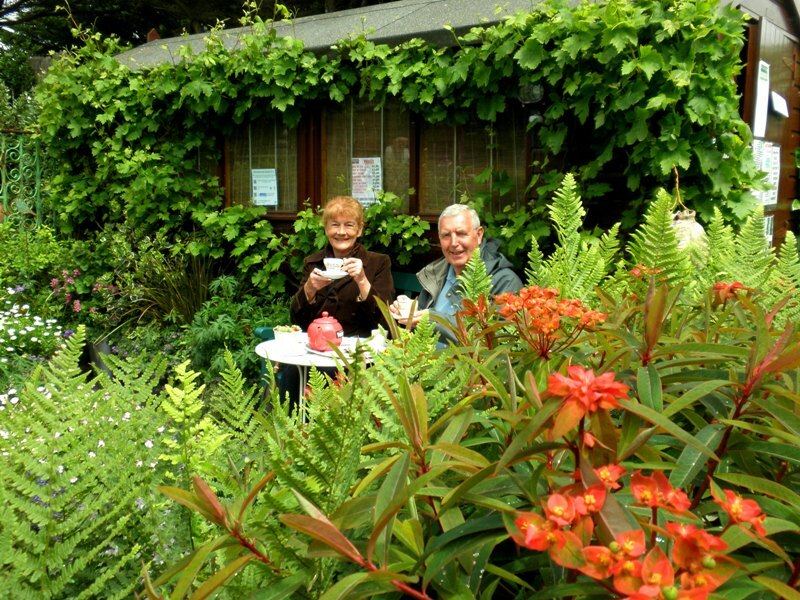 Thanks to their supporters, they’ve donated nearly � million in the last 10 years alone! 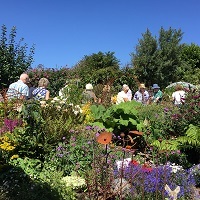 By visiting a National Garden Scheme garden you can really make a difference, raising much needed funds for charity to whom the National Garden Scheme make donations. We look forward very much to seeing you, on one of the dates in 2019. 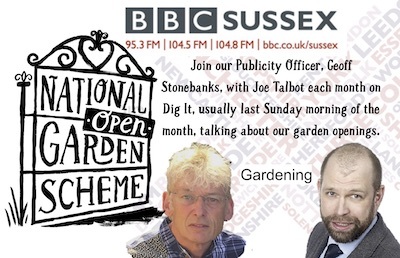 In his role as Publicity Officer for the National Garden Scheme in East & Mid Sussex, Geoff can be heard with Joe Talbot on BBC Radio Sussex's Dig it programme once a month on a Sunday morning, usually the last Sunday of the month about 1020. 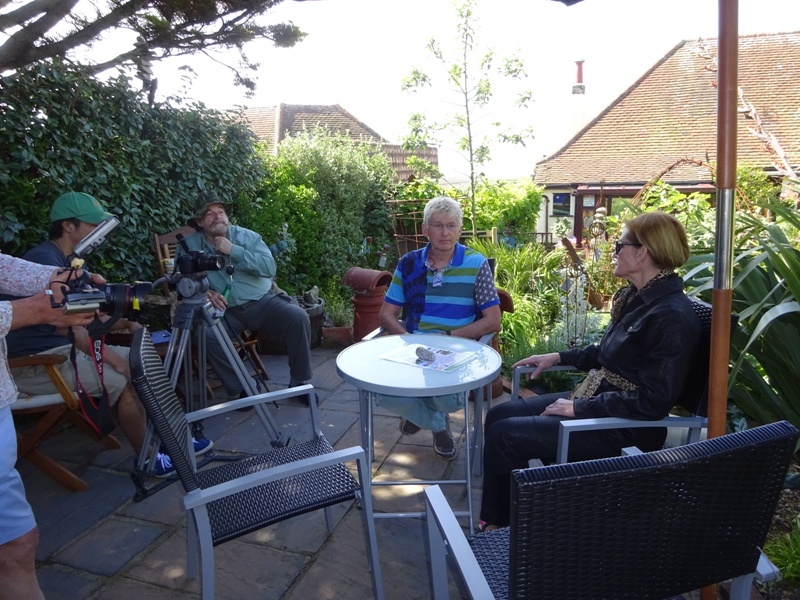 All interviews and other Sussex media coverage can be seen and heard via our media page here. 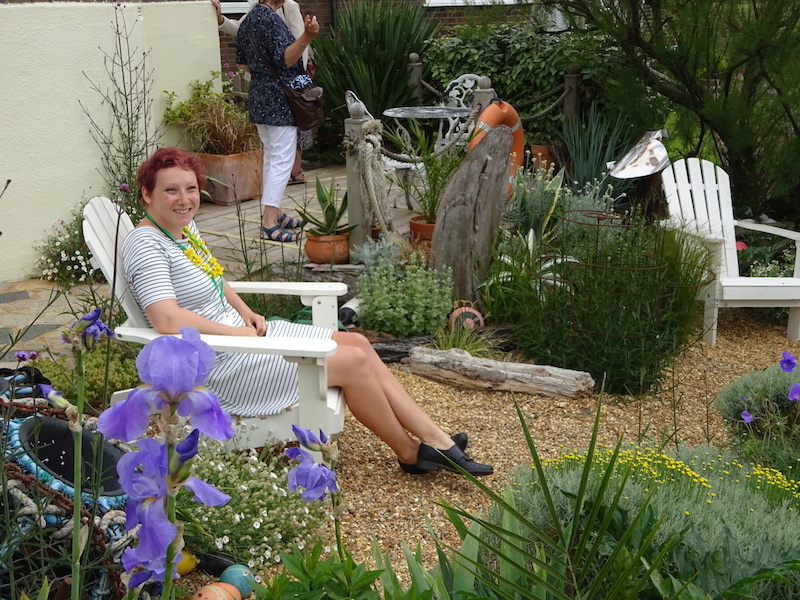 Driftwood featured on BBC2 Gardeners' World on 23rd September 2016 and was a Finalist in Gardeners' World Magazine Garden of the Year 2016 in the Small Space category. On 23rd August 2015 the garden featured in the Sunday Telegraph. 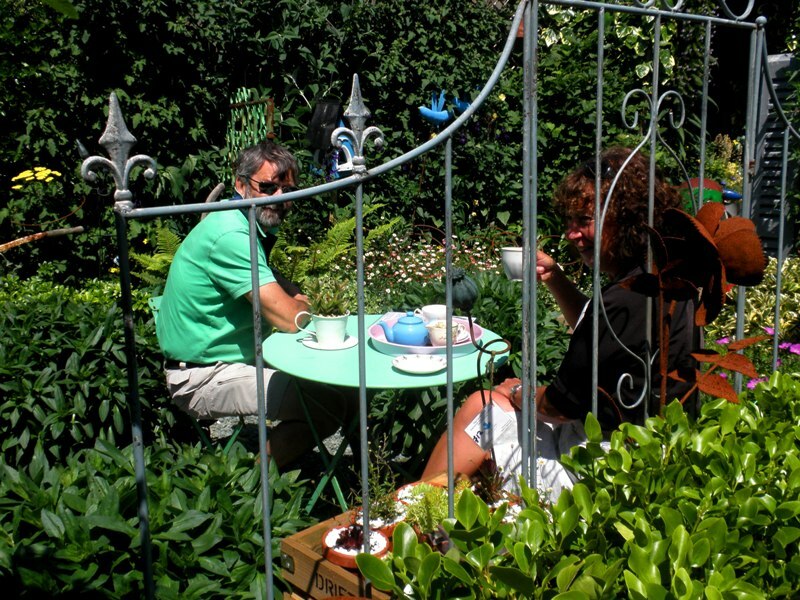 There are many exceptional reviews to be read too on TripAdvisor. On the 14th July 2014 the garden featured on Good Morning Britain and details were posted on the National Garden Scheme web site . 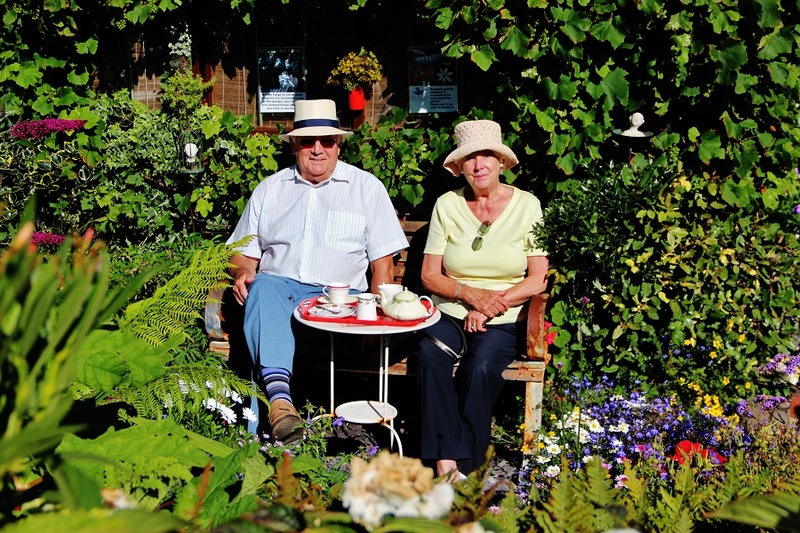 In 2012, we were extremely pleased to win the Garden News Best Small Garden and be selected as one of 4 finalists in the Daily Mail National Garden Competition. 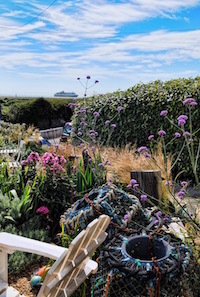 Why not sign up and follow Sussex National Garden Scheme on both Facebook and Twitter, for all the news and photos of gardens opening in Sussex next summer, click links below. Driftwood Garden first opened for the National Garden Scheme on 25th June 2011. 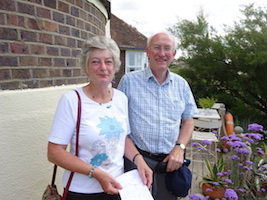 In June 2012, Geoff Stonebanks was appointed an Assistant County Organiser for East & Mid Sussex and in September 2012 their Publicity Officer as well. 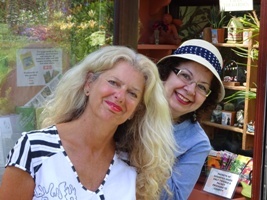 Since November 2012, you can read an article about Driftwood every month in the national gardening magazine, . 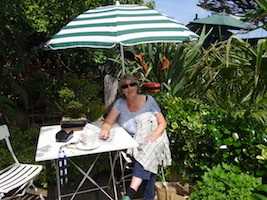 Read them all here and my monthly blog, written for Richard Jackson's Garden web site since December 2015, can be read here. 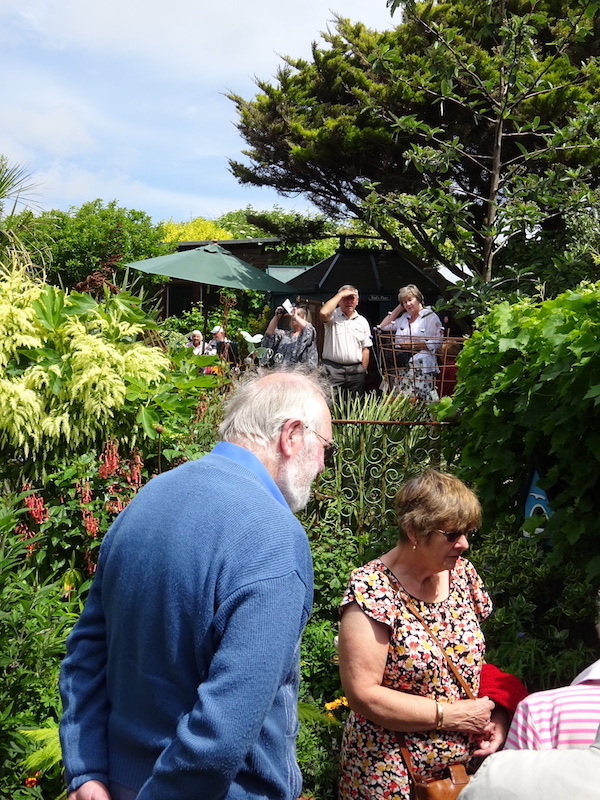 Our final 2018 opening was on the 5th August and it was a record breaking day with 279 visitors helping us to raise �65 for the charity. We saw 100 visitors in the first hour alone. A great way to end the season. They were queuing up to get in at 1145 and many had traveled long distances. 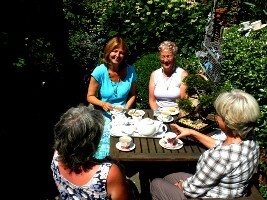 Our third opening on 24th July was as scorcher of a day, a bit too hot to sit out and eat cake! 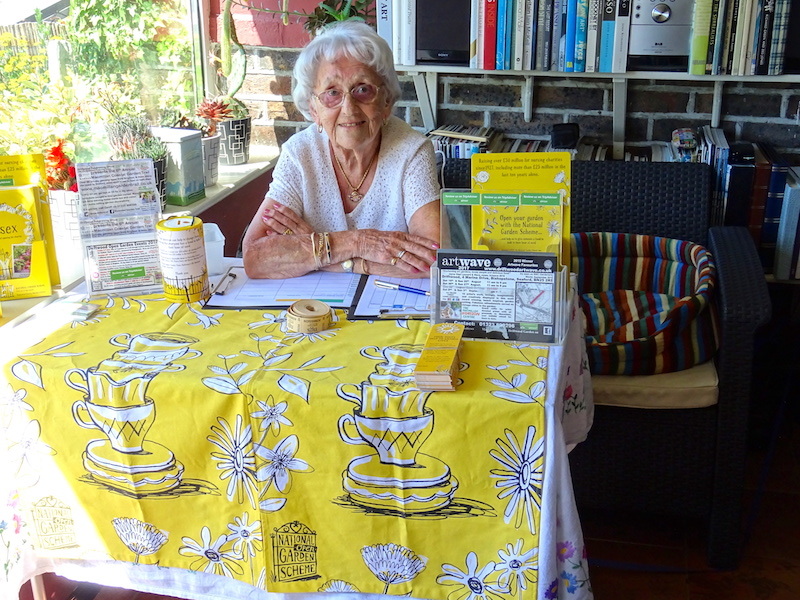 We still raised �0 for the scheme and saw 115 visitors. They were queuing up to get in at one point! 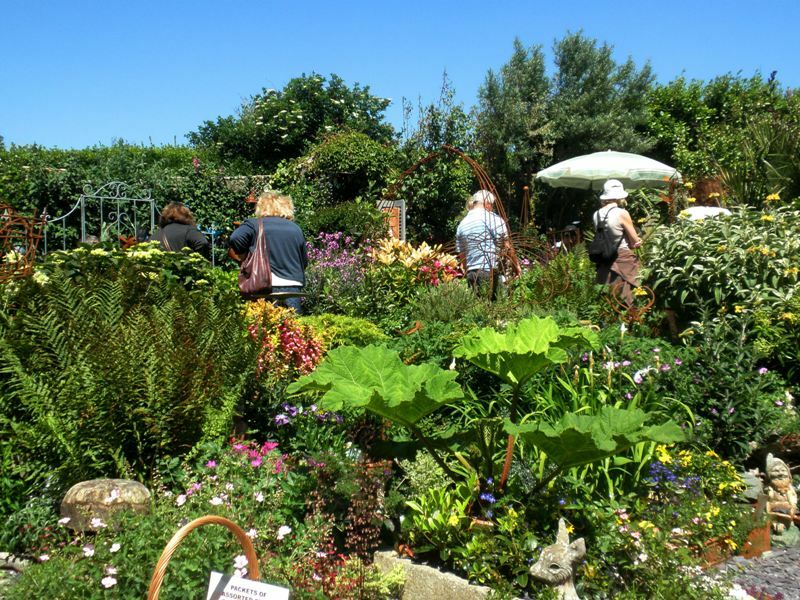 Our second opening on 10th July was another glorious day with over 1000 visitors raising �0 for the charity. Our first 2018 opening was a little grey but warm and we saw visitors from the States who wanted to buy the aprons worn by brand-new helpers, Mary and Sally. 91-year old Mum, Barbara, was on hand to take the money at the gate too. The National Garden Scheme launched a new initiative between 12th and 19th August called Gardens and Health. 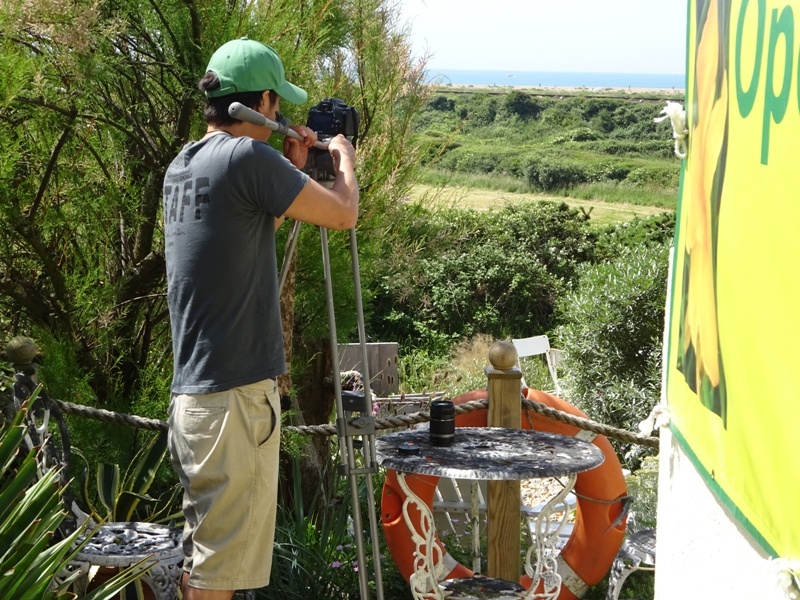 We opened Driftwood as part of the initiative and I filmed this short video. 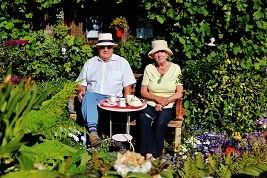 In April 2017 the National Garden Scheme ran a joint promotion with Macmillan Cancer Support on the benefits of gardening and health. I shot a short video for them which you can see on the left! 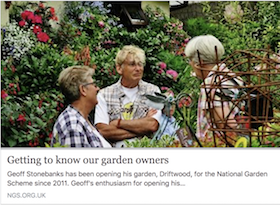 As part of the launch of the new web site in March 2017, a feature on Geoff as a garden owner appeared on the National Garden Scheme website which you can read by clicking the image to the right. We had the second highest visitor number for an open day on the 6th August, 230 people came. We raised �90 for the charity and once again, saw visitors from far afield. Over 70% were visiting for the very first time too! 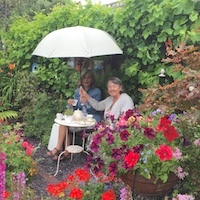 Visitors came from near and far but the 2 on the left, Julia and Caroline saw the feature on the garden in Coast magazine and drove all the way from North London to visit. 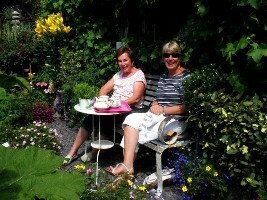 We opened again on 25th July and the weather was much better. 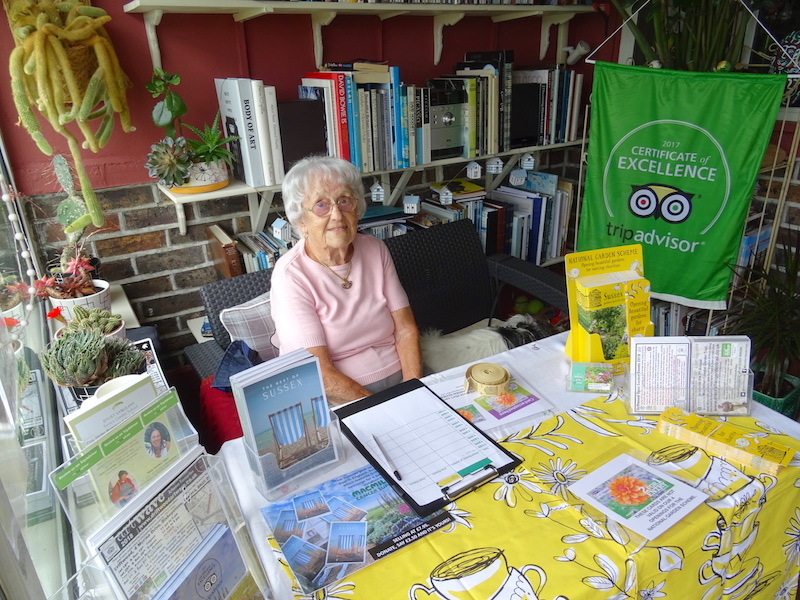 We saw over 170 visitors and my mother, Barbara was on hand to sell the tickets and friend Diane Marquess helped out in the kitchen. 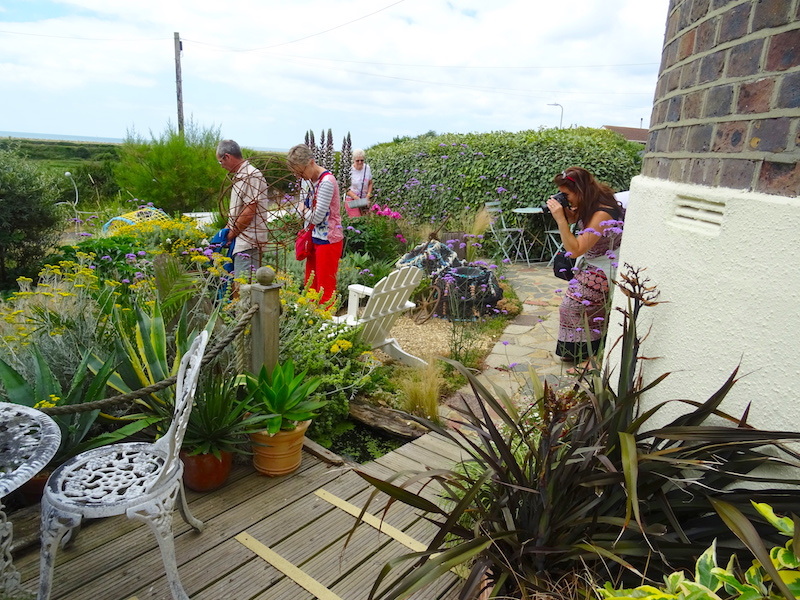 We still managed to raise �3, helped by a visit from the Eastbourne Rainbow Group. 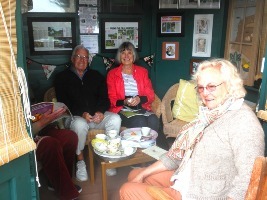 Many visitors took tea and cake sheltered by an umberella! 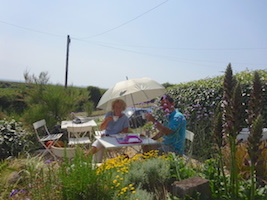 Above, our second opening on the 11th July was plagued by rain. Whilst it did hold off for some of the morning it made up for it in the late afternoon and certainly reduced our visitor numbers. 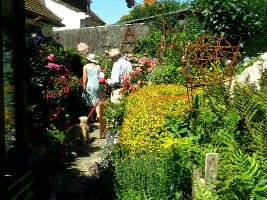 Our first opening on 20th June was one of the hottest days of the year and 101 visitors braved the excessive heat to come and see the garden. 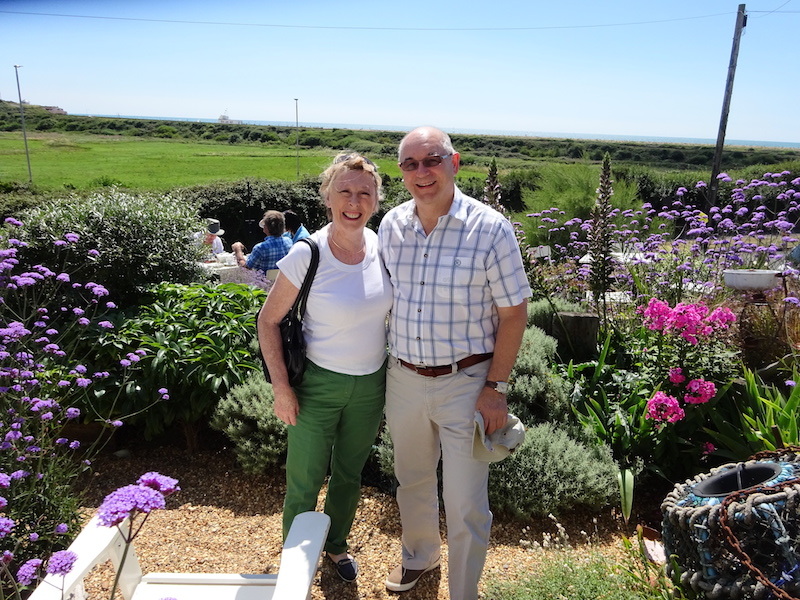 We raised �1 and had visitors who had driven all the way from Essex! One the left Wendy Everest and Celia Hughes helping in the kitchen. 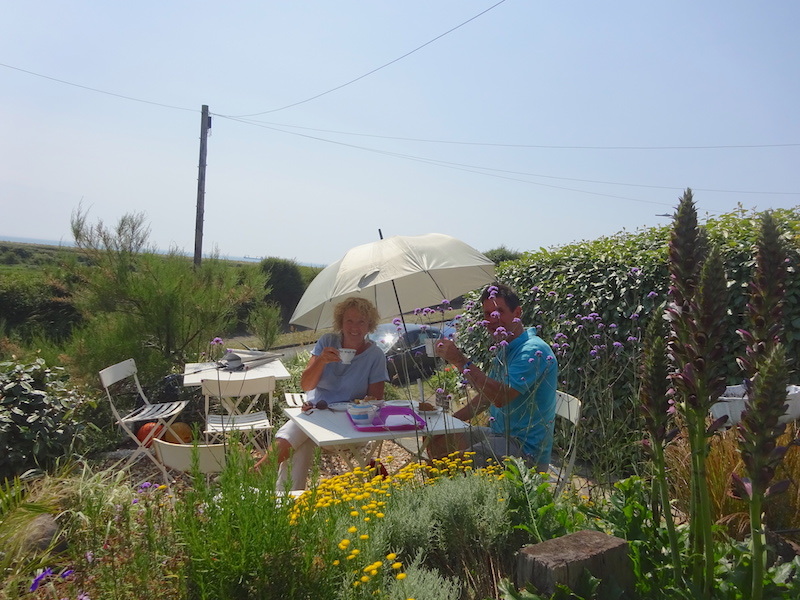 On the right, 2 visitors take respite under an umberella in the beach garden from the incessant heat! 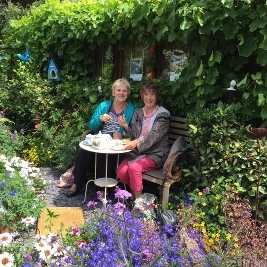 The scheme is celebrating a "Gardens & Health" week in August and Driftwood will open for a private function, by invitation only, between 2 and 5 pm on Saturday 12th August. 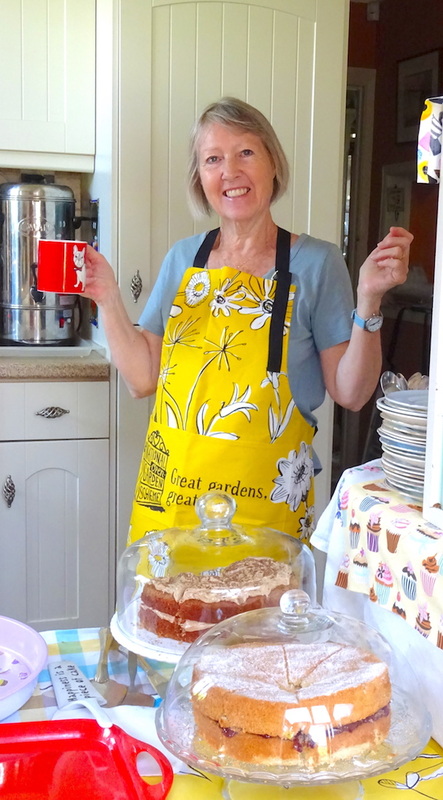 We will have 2 groups visiting, a local autism group and a dementia group, both linked to local MP, Maria Caulfield. 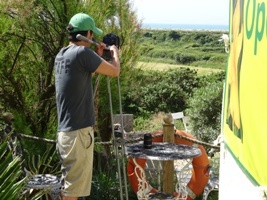 This years openings were on 9th June, 28th June, 19th July and 31st July. 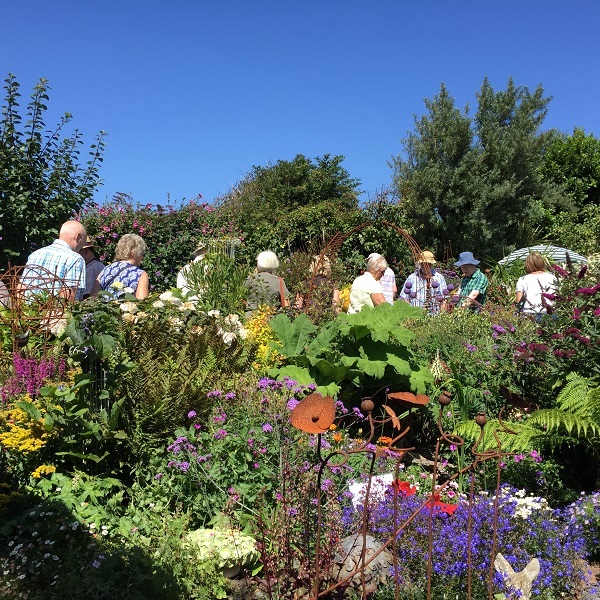 On the 31st July, the final National Garden Scheme opening for 2016, we had an incredible day, with 231 visitors raising �97 for the charity. Due to it being promoted in the Telegraph, we had visitors from far and wide! 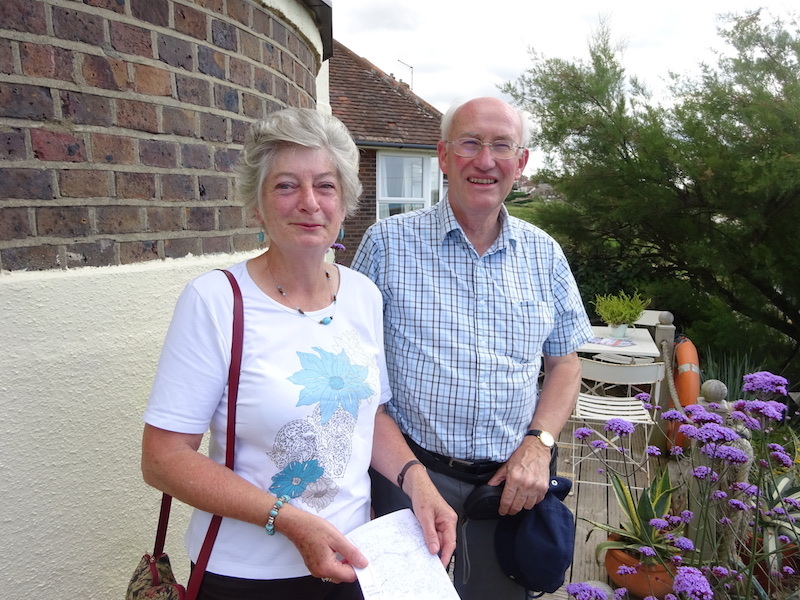 On the left there was Simeon and Mary Hopkins from Aldwick in West Sussex and on the right Barrie and Chris Hewitt from Southampton. .
On the 19th June July it was the hottest day of the year, over 30 degrees at times, and we only had 123 visitors as it was just to hot to wander around with little shade to sit and have tea. Those that did come enjoyed themselves though. 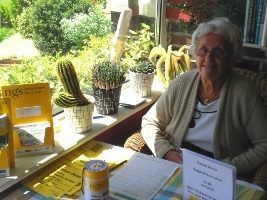 On the 9th June Georgia Paton, the Community Fundraiser from Marie Curie came to visit us and see how the money was being raised! 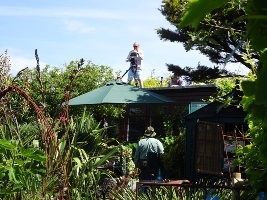 We had a great day and raised �2 for the National Garden Scheme. 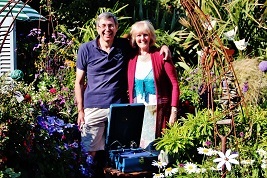 were on hand to provide music from the 1920's to the 1940's on vintage gramaphones as well. Visitors all enjoyed the tea and cakes on offer despite us running out and having to buy replacements. 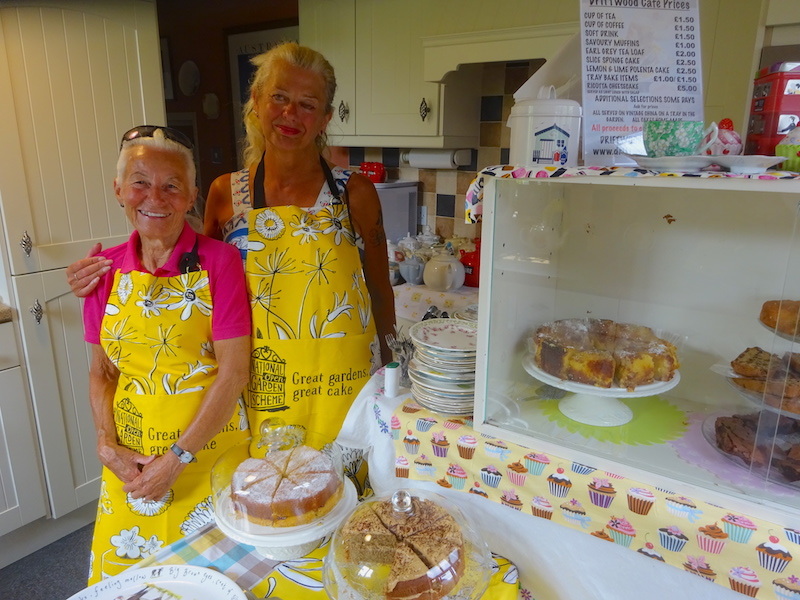 Over 150 portions of cake were sold. 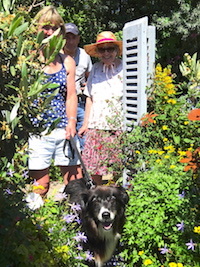 Karen and Gordon on the right had driven all the way from Warwickshire to see the garden after Karen followed it on Twitter! 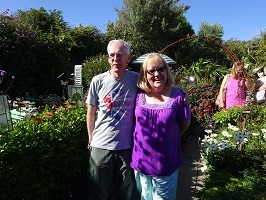 We raised an incredible �19. 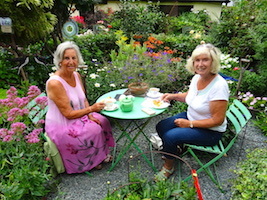 Jean Griffin, below left, who regularly offers gardening advice on BBC Sussex's Dig It show with Joe Talbot very kindly agreed to answer visitors queries in the garden on the 7th July. Click her name to learn more about Jean. She sat in the garden and spoke to many visitors. 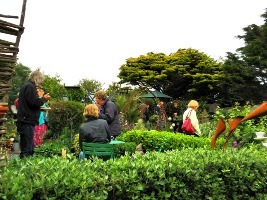 We raised �4 for the National Garden Scheme and had 130 visitors despite the high winds all day. When we opened on the 25th June an American film crew came to film the preparation for the day and interviewed me about my involvement and my own garden development. 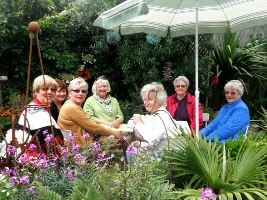 Top left Celia Hughes and Rosa Botterill who helped in the kitchen. 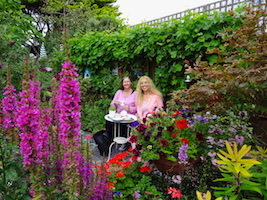 Images of visitors taking tea and shots and the crew filming the garden and interviewing me. 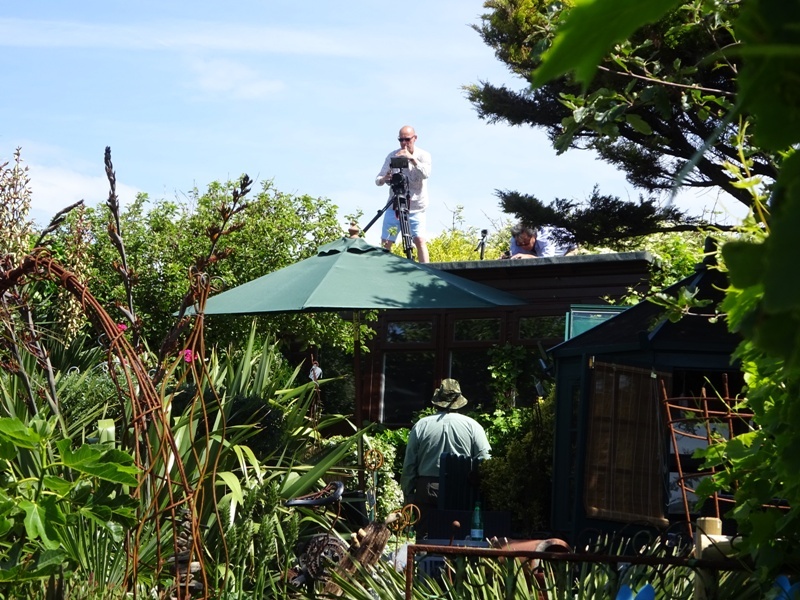 Cameras were placed on the studio roof for the morning to capture visitors movements around the garden! 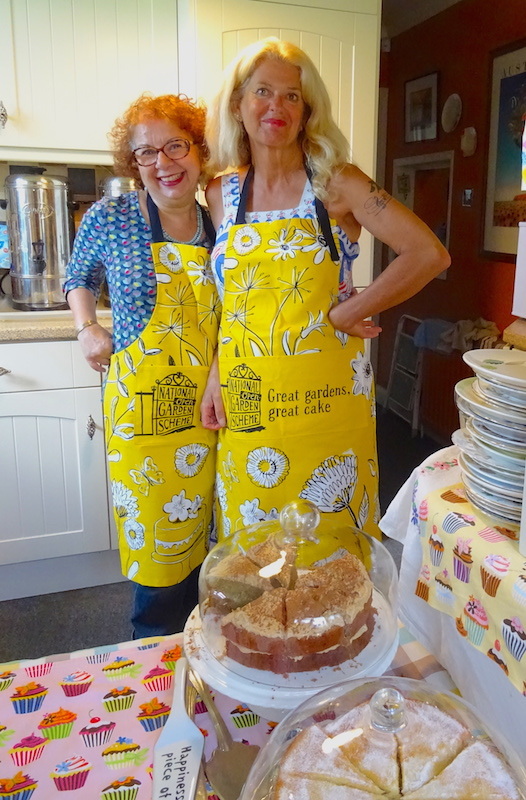 We raised a wonderful �3.50 from the day. 9th June saw the first garden opening of the season! Linda Wallraven and Liz Holland were on hand to welcome visitors and sell the raffle tickets for Macmillan. We raised a total of �3 despite the chill in the air with a cold north east wind! The intrepid couple pictured on the right had driven all the way from Bournemouth to see the garden and others had driven down from Surrey too! 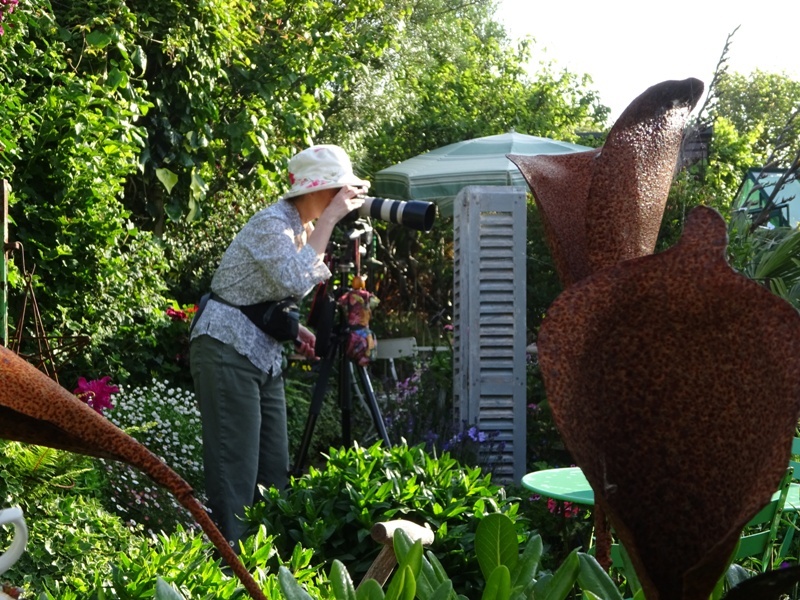 At all 2015 openings for the NGS there will be garden supports for sale by Chris Burchell Collins and sculpture by Paul Cox. Our final opening was on the 3rd August and Jean Griffin, the gardening expert (pictured left) for BBC Sussex's Dig It programme was in the garden answering visitors gardening queries. 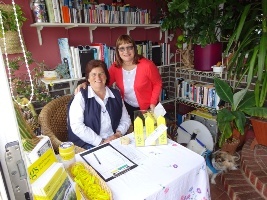 There were over 250 visitors and we raised �04. 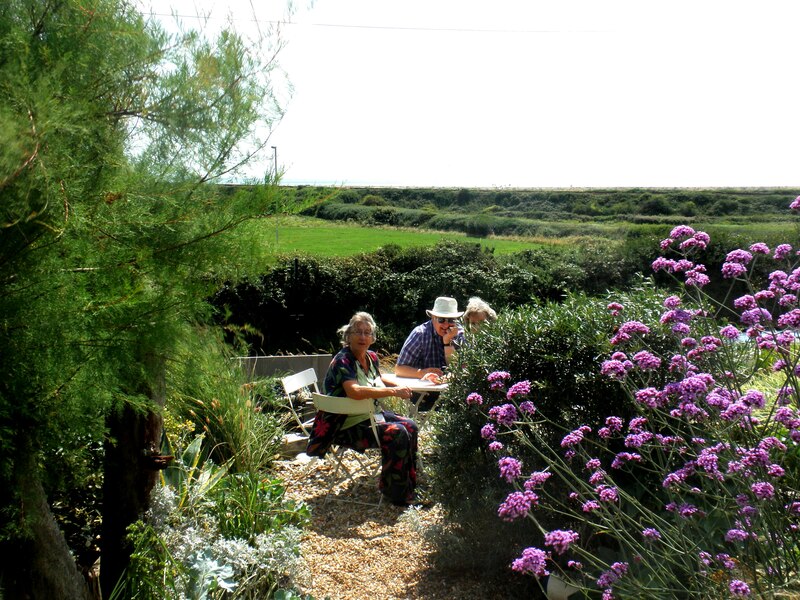 We opened for the 3rd time in 2014 on the 17th July and it was a gorgeous day! 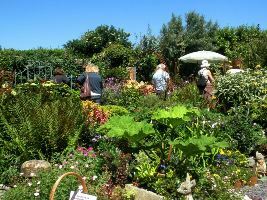 Probably too hot for garden visiting but nonetheless we saw 107 visitors and raised exactly the same as on the 1st July! �2. This time we were able to display that we had appeared on Good Morning Britain and some visitor had come as a result of seeing it on the TV show! 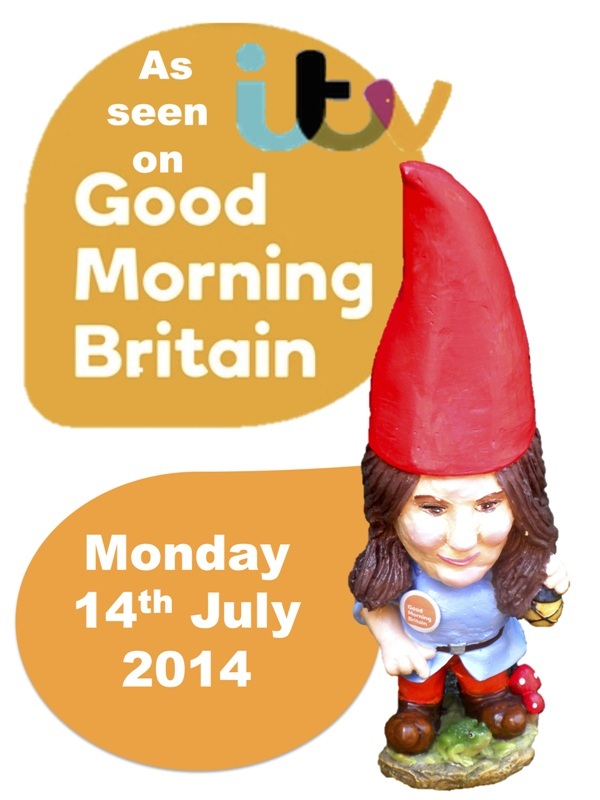 Some even wanted to see the Laura gnome! Opening on the 1st July it was a gorgeous day and we raised �2! 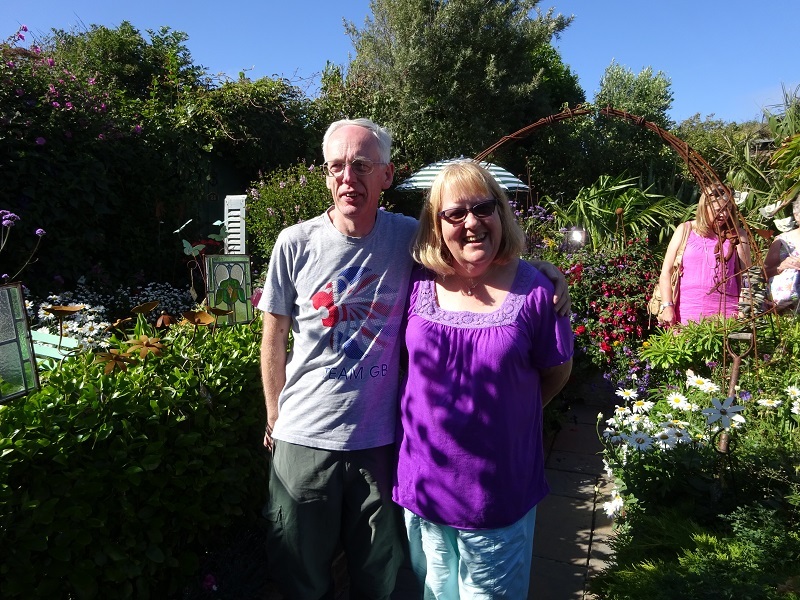 Elaine-Marie Houghton said in the visitors' book, "Beautiful and inspiring full of interesting and artistic touches, and wonderful planting!" Many visitors enjoyed the home made teas too! 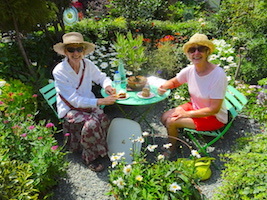 The 10th of June was a glorious day for our first opening for the National Garden Schemein 2014! 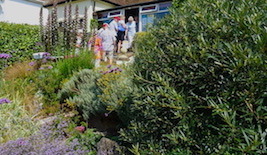 176 visitors came from far and wide to see the garden, many repeat visits, but also many new ones too, some from many miles from Seaford. Some from Essex and some from Norfolk! 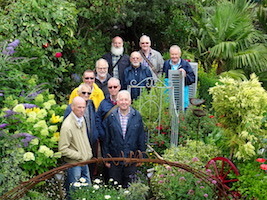 We raised an incredible �2, not bad for a small garden on a Tuesday! D Reed said in the visitors' book, "Relaxes the eyes, eases the heart, wonderful"
Listed as one of 25 glorious gardens to see in Sussex in a list published by Sussex Life Magazine in May 2014. 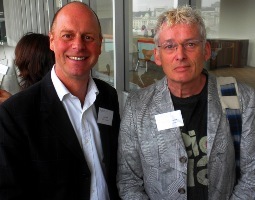 I was lucky enough to meet up with Joe Swift at the Yellow Book launch in April. 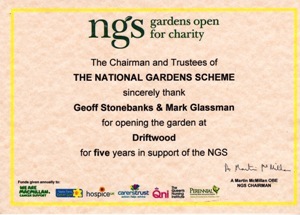 In 2014 the garden opened 4 times for the National Garden Scheme, on 10th June, 1st & 17th July and 3rd August. 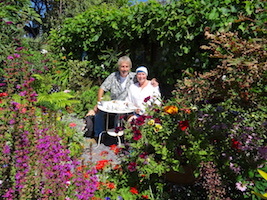 It was the first year the garden had opened as a solo garden, no longer part of a group. 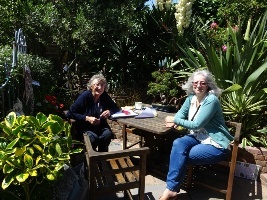 After my first year as Publicity Officer for the patch, the County Organiser, Irene Eltringham-Willson said "Thank you so much for all your inspirational work on publicity, not to mention opening Driftwood and masterminding the Seaford/Bishopstone Group and Asst County Organiser work!" 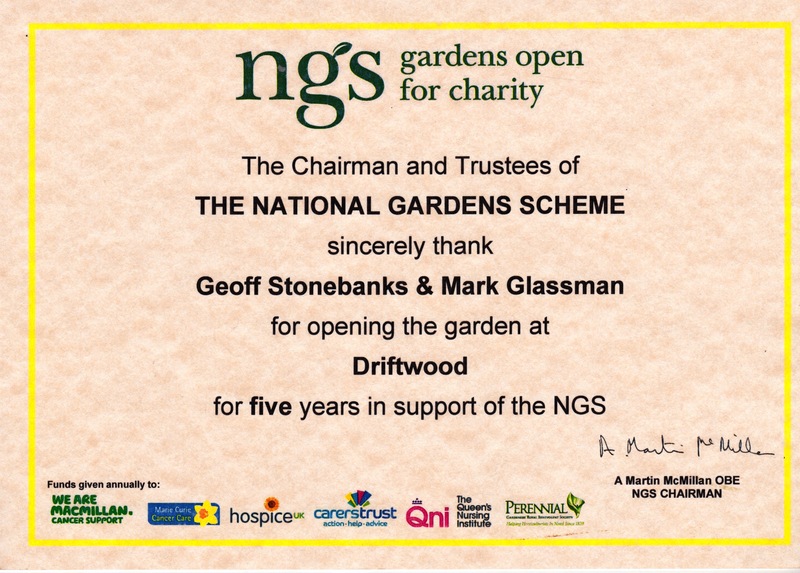 In 2013, Driftwood opened as a single garden on Tuesday 2nd July and Sunday 11th August. 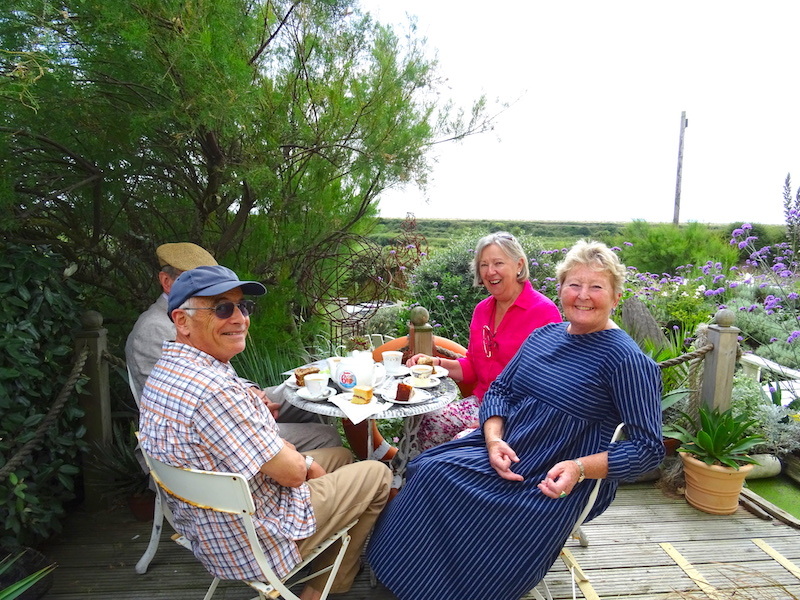 Additionally it opened as part of the Seaford and Bishopstone Group on the weekend of 15th and 16th June and on Sunday 21st July. 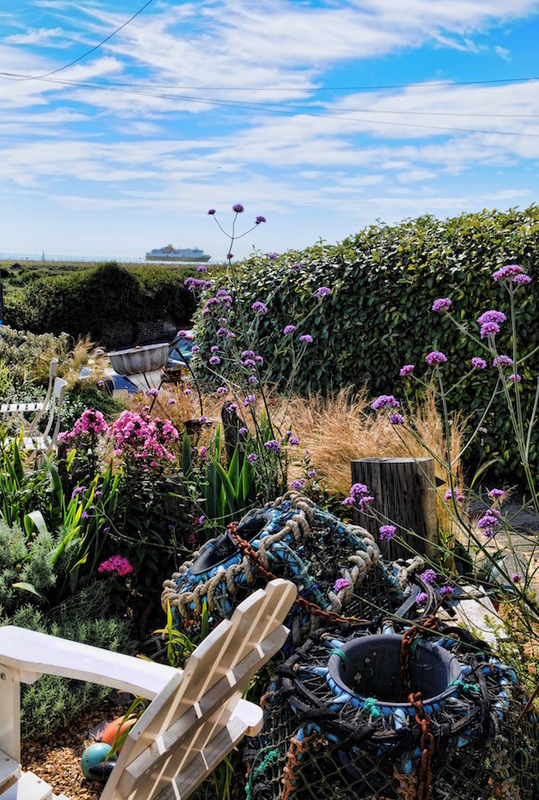 Following her visit on the 11th August, Jennifer Pulling from Shoreham by Sea wrote in the visitor's book, "Overwhelmed by the transformation. A joy to behold!" 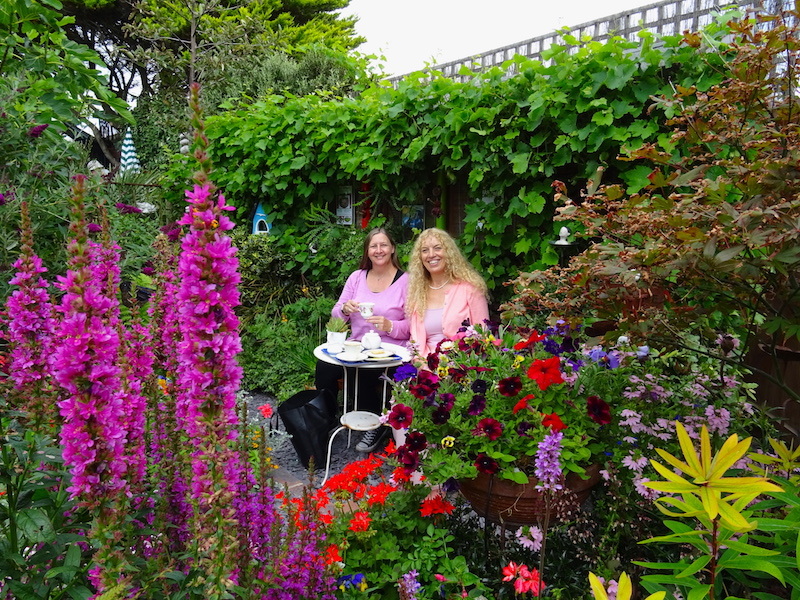 While Bridget McGee wrote, "Awe inspiring, I thought I had no room left in my own garden! 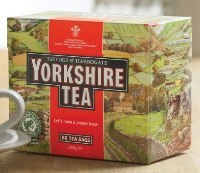 Now I realise it is half empty!" 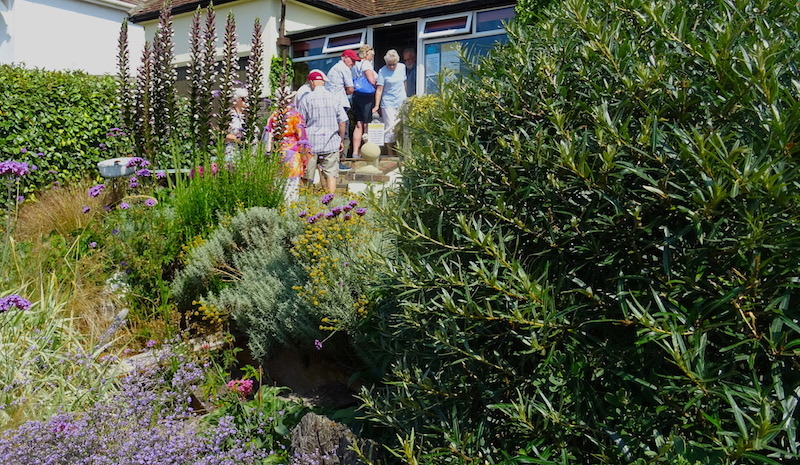 The opening on the 21st July was one of the hottest days in Seaford and 285 visitors came to see the three gardens open as part of the group! Some great comments in our visitors book! 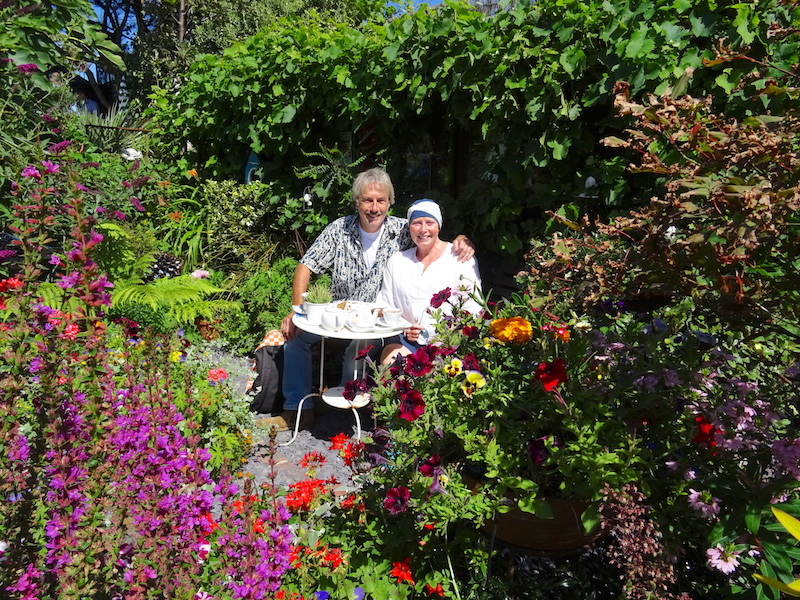 "Your garden is fabulous" said Kathy & Vernon Findlay, who went on to say "The most beautiful we have ever been to! (And we've done a few!!)" While Sally Brearley echoed this view with "Wonderful garden - best ever seen!" 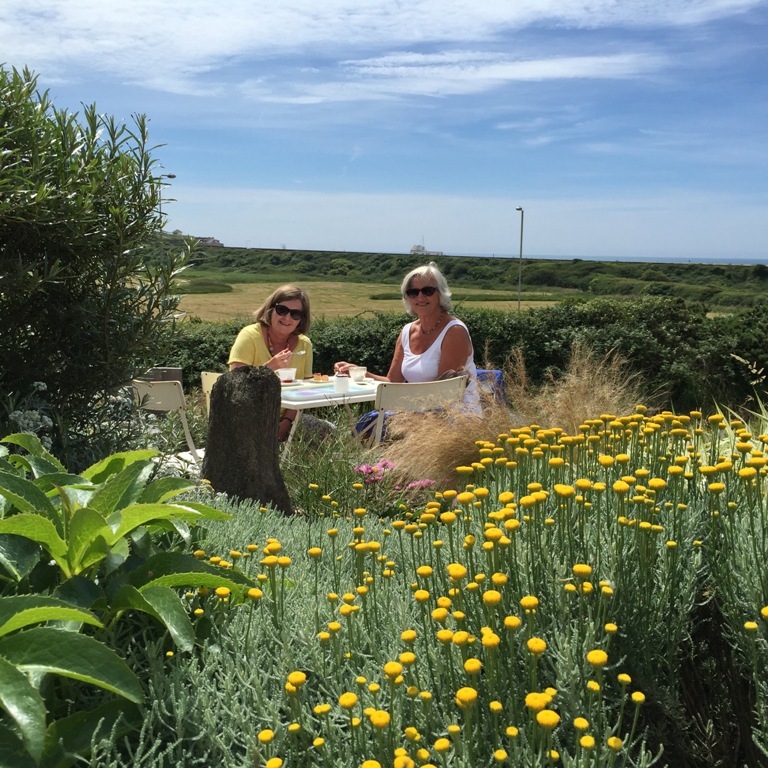 Thanks so much to all our helpers for coping with the heat and the numbers! 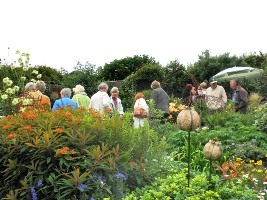 Tuesday 2nd July was a cool, dreary day weather wise, however 172 visitors turned out to see the garden, some queuing at 1045 to get in! 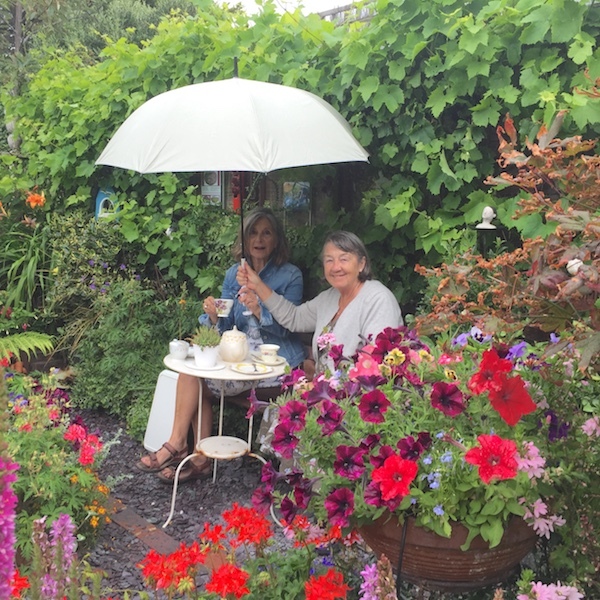 The weather held for all but the final hour and we raised an amazing �2 for the National Garden Scheme on a weekday! 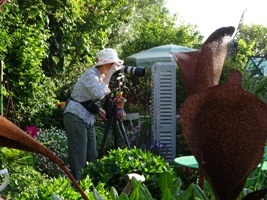 Not possible without great friends assisting, Celia Hughes, Richard Walsh, Clare Mayers and Sheila Thomas! Many visitors had also travelled many miles to see the garden! The weekend of 15th/16th June saw the first ever National Gardens Festival Weekend with over 800 gardens open nationwide on these dates. 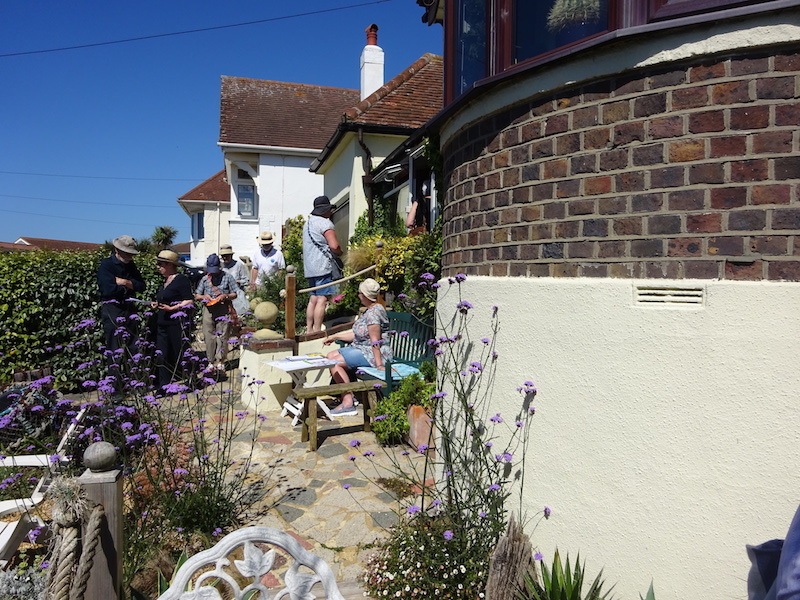 We opened on Saturday 15th with 8 Sandgate Close and 1 Buckthorn Close (new for 2013) in Seaford and Barrack Cottage in Bishopstone Village and on Sunday 16th with 8 Sandgate Close and Elizabeth Cottage, a new garden for 2013. 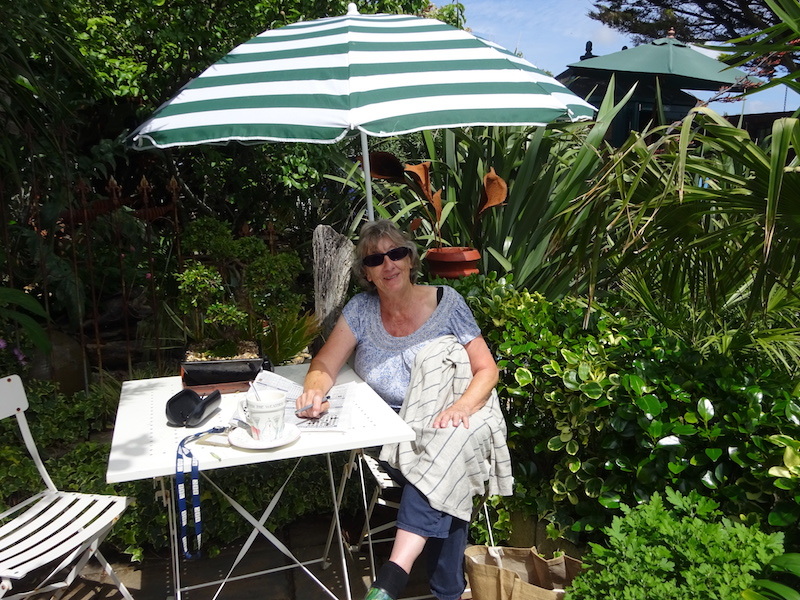 Across the 5 gardens we took almost �00 for the NGS charities. Many thanks to all those involved. tea by the pond. 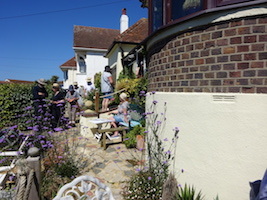 View across the garden. 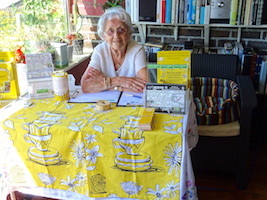 My mother, Barbara, taking the money in the porch. 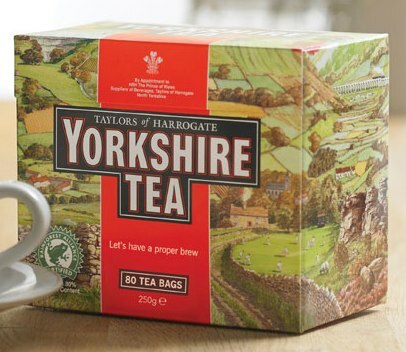 Thank you so much to Yorkshire Tea for their generosity in donating tea and other promotional material for use in the garden in 2012, 2013 and 2014 thanks Sarah Wells, Community Projects Officer.